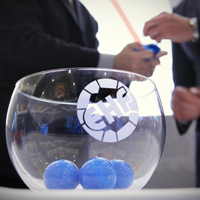 28.03.2011 - 15 teams join European Championship hosts, Czech Republic, following qualifications events. 21.03.2011 - The final tournament of the Women’s 17 European Championship 2011 will be played in the Czech Republic on 23 June to 3 July 2011. 16.11.2010 - Find qualification info on the YAC event in the Czech Republic. 24.09.2010 - The groups for the qualification were drawn on 24 September 2010 in Copenhagen.